I have been been blessed with two amazing children, a son and a daughter, who are both now in college. First of all, when I say that out loud, it is STILL hard to believe. I am the baby of my family, with two of the best big brothers that God ever granted a baby sister. This Happens Immediately – I thought that I had been preparing for this since kindergarten. I thought that each year of school, was one year closer to the last year of school. 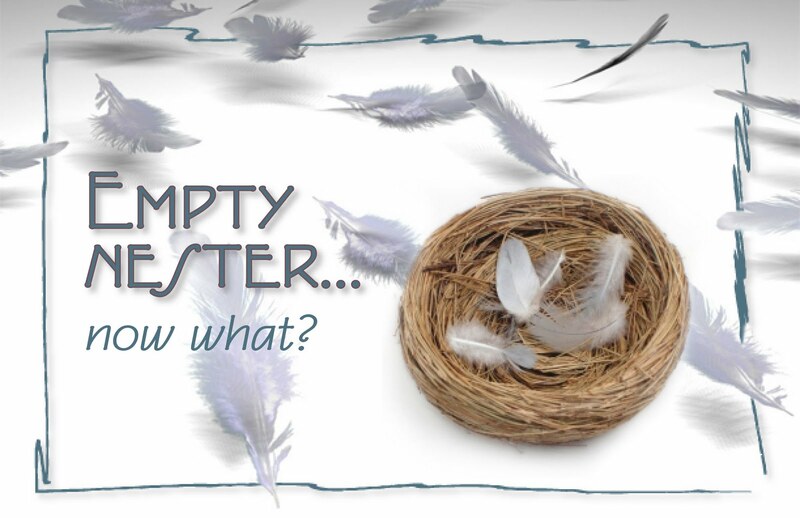 For all intents and purposes, the empty nest should feel like a gradual experience. Well, that wasn’t the case. BAM! Suddenly, there is no one to pick up at 2:30 from school. There is no need to coordinate how anyone is going to get to practice. There are no more cheer competitions, no softball games, no baseball games, no football games, and no field trips to chaperon. My normal was immediately different. The very first week, I remember feeling like my work day was 19 hours long, because there was no one there to distract it any more. Immediately, I was less busy. Immediately, I was less needed. Immediately, I was less consumed by the wants and needs of my children. I had not felt that way in 22 years. The House Feels Strange – Because it is so immediately different, the only reply I had for the people that asked me the question, “So, how does it feel?” was, “It feels REALLY strange.” The house didn’t really sound that much quieter, but it definitely felt a lot quieter. It felt still. It felt stalled. It felt like it was floating in time. It felt…empty. When I called up the stairs “Hey Boo! How was your day?” There was no one there to answer me; no one to come to the top of the stairs to reply, “It was straight.” It felt so strange. A Veil has Been Lifted –It feels like a veil has been lifted off my life. I now see everything through a different lens. This is the third time my view was changed. The first time was the birth of my first child, 22 years ago. All of a sudden (there’s that again), I thought about things that I never had before. When I saw my son’s face, I remember thinking I was now responsible for a whole human life, other than my own. A lot of things had different meanings now. The second time the veil was lifted was when my father died. Suddenly, things that mattered before no longer did. I saw what was really important in life. I quickly recognized that things really could wait. I understood clearly that family is everything. You should love and cherish them, because all we get is one day at a time, and nothing is promised to us. Now, the veil has been lifted for the third time; the day we dropped my daughter off at college to join her brother. To culminate the first and the second unveiling, my daughter leaving felt both like a death and rebirth. It was the end of this stage of motherhood for me. BUT, at the same time, I felt like I had been reborn. Now, the things that are important to me are more apparent, acceptable, and appreciated. Everything Has Been Magnified –I have a whole lot of time to be concerned about me. I also have a lot of time to be concerned with my husband. I have a lot of time to be concerned with my finances. I have a lot of time to be concerned with my clutter. I have a lot of time to be concerned with my thoughts. I have a lot of time to be concerned with my past. I have a lot of time to be concerned with my future. Executing the most effective use of this time is harder than I thought. However, slowly, but surely, I felt like I had permission from myself to do more things for myself; like write this article and give some other Mommas a heads-up. I’m Still the Momma! – but It’s a Little Different Now – My parenting role is now less about telling them what to do, and a lot more about guiding them in what they are doing. I learned that making tweaks in my language helps tremendously. Instead of, “You need to do…” I have adjusted to say, “Have you thought about…?”. Over time, my children have taught me that if I can keep my eyebrows out of my hairline when they need to talk, the more they will open up to me. As I look back, it took me more time than I would have liked, to learn that lesson. But, when I finally got it, it paid off big time. The lines of communication stay open, and they are used a lot more now. My children realize that I was not born 45 years old. I really have been their age before. People Said I Would Get Used to it Quickly – They were right. I am a certified professional coach, and my passion and purpose is helping working moms. I help working mothers, overcome being overwhelmed, manage mom guilt, and go from exhausted to excited about this life we get to live. I have a Bachelors degree in Communications, a Masters degree in Industrial and Organizational Psychology, and I have been a working mom for the last 21 years.